Very Good condition hardback book with a Very Good condition dustjacket. He commanded a night fighter wing during the Battle of Britain then was posted to the Desert Air Force to assist with the relief of Tobruk. 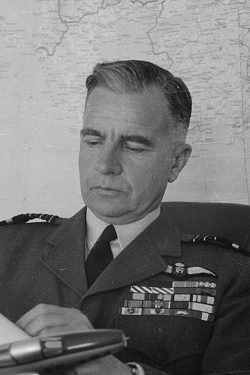 He later commanded No 2 Group which was responsible for some of the most daring and well planned raids of the war, including low level precision attacks on the Gestapo HQs at Arhus, Copenhagen and Odense, and Operation Jericho against the prison at Amiens. 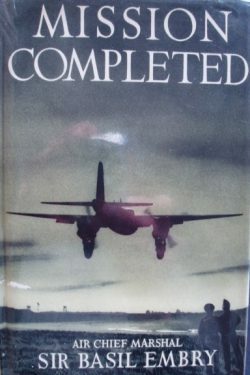 Directly after the war, he was appointed CinC Fighter Command, a position he held for four turbulent years. After retiring, he emigrated to Australia to farm and died there in 1977. 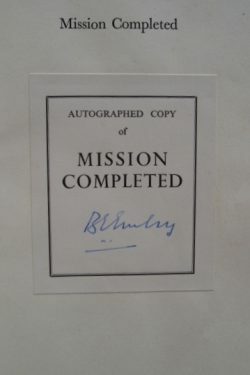 A cracking book from one of the RAF’s legendary commanders, enhanced by Embry’s scarce signature on a publisher’s bookplate dating from the launch of the book which occurred after Embry had left the UK.